Chiropractic and Acupuncture benefits are available through the Kaiser Traditional HMO and the Kaiser Deductible HMO plans. In October 2011, Governor Jerry Brown signed into law Senate Bill 946, which requires California health plans to cover “behavioral health treatment” for autism or pervasive developmental disorders when medically necessary. In response, Kaiser Foundation Health Plan, Inc .has added Senate Bill 946 amendments to their group health plans, effective July 1, 2012 and August 1, 2012, respectively. Unit members who qualify for health care coverage in 4.2 of the UPM contract shall qualify for a reimbursement of up to $600 per fiscal year for a single subscriber, or $1,200 per fiscal year for a subscriber plus one, based on submission to the District of an itemized invoice from a dentist outlining the services provided and the Dental Reimbursement Claim Form, submitted within 30 calendar days of the end of the fiscal year. Our Plan Administrator, Tax Deferred Solutions (TDS), provides an Employee Support Center during open enrollment. Call 1-800-863-9019 and speak with a Benefits Counselor. They will answer your questions, review your options and enroll you right over the phone. 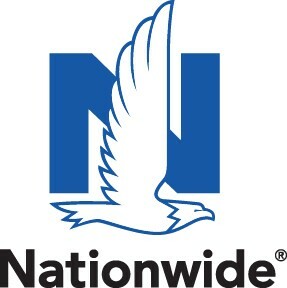 We are pleased to announce Pet Insurance from Nationwide. With Nationwide, you are free to use any licensed Veterinarian, even specialists and emergency providers. Once you enroll, Nationwide will bill you directly on a monthly basis. There is no payroll deduction option. You may enroll at anytime during the year. Call 877-738-7874 and mention that you are an employee of Marin Community College District to receive preferred pricing. As an employee of Marin Community College District, we are pleased to inform you that you are eligible to participate in our 403(b) retirement plan. Our 403(b) plan allows you to contribute pre-tax dollars into an investment provider of your choice. Participation in the plan not only helps you prepare for a more financially secure future, it provides significant tax advantages today. To learn more, order the booklet A Guide to Your California Retirement Benefits, available at no charge from our plan administrator, Tax Deferred Solutions (TDS), California’s largest independent provider of 403(b) and 457(b) plan administration services. In addition, you may also request a FREE estimate of your projected retirement benefits. Visit Tax Deferred Solutions (TDS) website to request your FREE information. For additional information about 403(b) vendors and the products they offer, please visit 403bCompare website. 403(b) Plan Setup or Plan Change Instructions - including a link to the Salary Redirection Agreement form. KeenanDirect offers enrollment assistance and expert guidance on a full suite of Insurance products for individuals, families, small businesses, seniors and the self-employed. Healthcare Reform - "What You Need to Know"